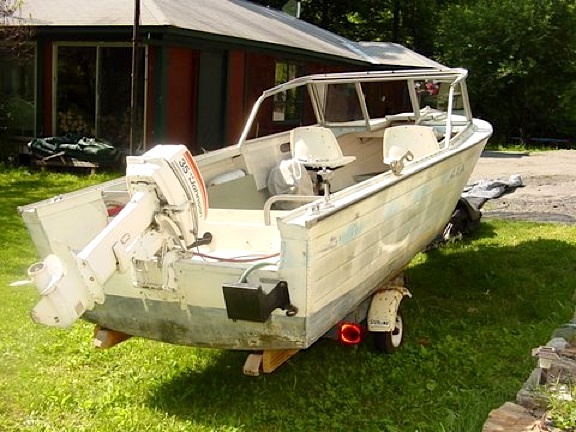 I've found another "out in the pasture" 18 FOOT "tin" boat. 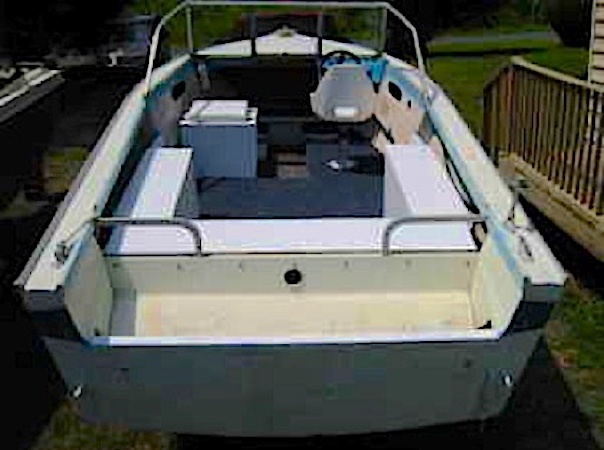 - In this case a Horizon Blue over White, 64-65 model Lone Star Reliant on a SHORELINE trailer, which is "all in one piece" but NEEDS significant repair/repainting. 1. Do any of you have GOOD photo(s) of the original interior seating/trim of the RELIANT?? 2. Which company made the original seats?? 3. 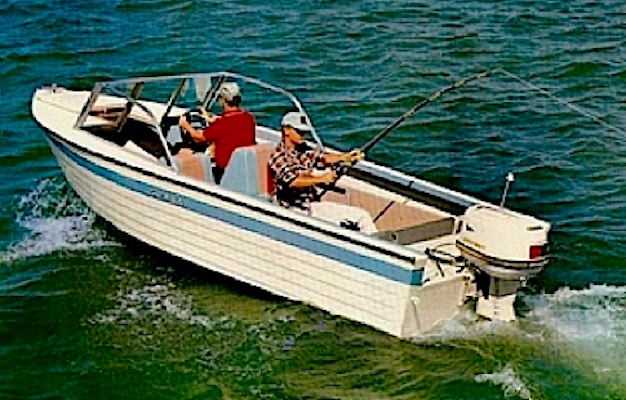 Would a pair of 40HP 1964 "Johnnyrudes" be enough power for the BIG "tin" hull?? I had a Reliant years ago, was very happy with it. It handled well, dry ride, good in L. Champlain conditions. 1. - the only pics of a original interior are from a 64 Catalog - I cropped nd enlarged them to see the seats better. 2. - seats DO look standard for the mid 60s, but no info about seat vendor. 3. Mine had a 100 Merc , more than enough power. Next owner now has a 35HP on it and new owner is happy with it- not fast, does plane though. 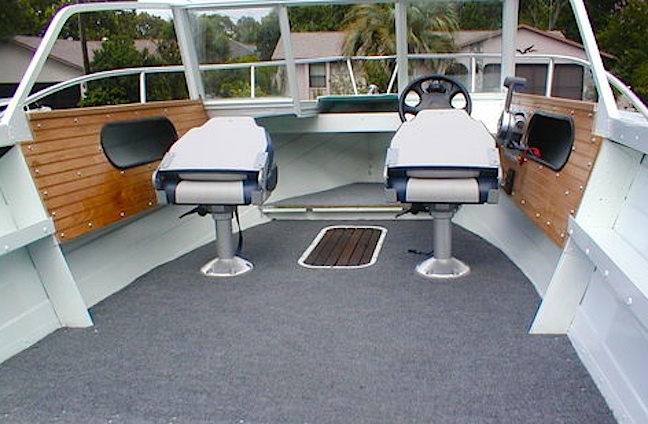 Twin 40s "should" be good I'd think - a friend had a 16' Lone*Star Medallion with twin MK 58s and it ran very well. The only other Reliant interior pics I've found had pedestal chairs in place of the original back-to-backseats. FIRST: THANKS for the answer. Also, THANKS for the photos. 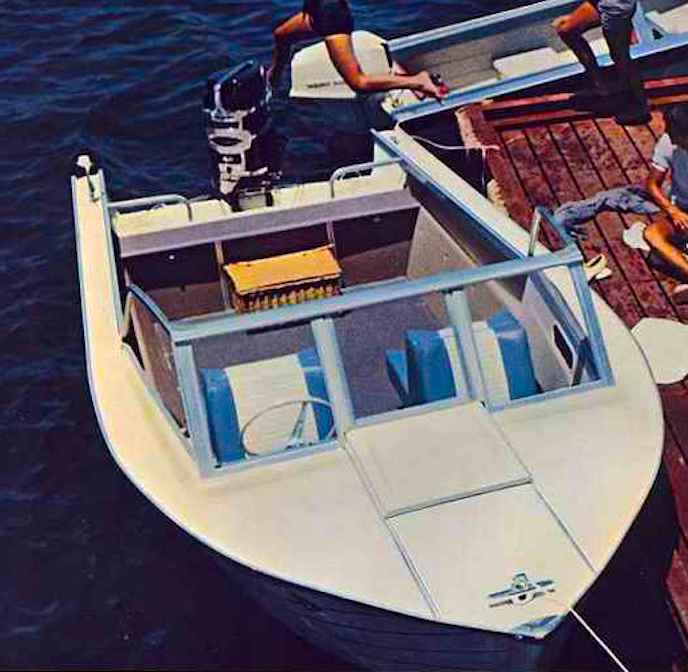 I suspect that a PAIR of 40HP 1965 "Johnnyrudes" will be what I choose for power, as I can turn one off to troll inexpensively, out on the salt..